Solve puzzles to recover your lost memories. Publisher Hidden Trap will bring studio Devilish Games’ infinite zoom adventure game Path to Mnemosyne, which is due out for PC in the second half of 2018, to PlayStation 4, Xbox One, and Switch, the developer announced. A release date for the console version was not announced. 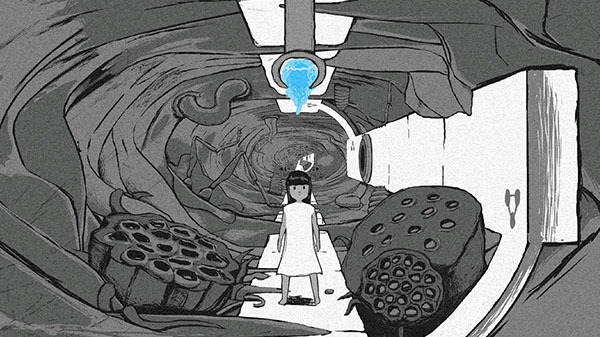 Immerse yourself into Path to Mnemosyne, a hypnotic adventure created within an infinite zoom! Walk the path, explore your mind, and recover all lost memories by solving dozens of imaginative puzzles. A mysterious story, a minimalist script and disturbing sounds and graphics, will make Path to Mnemosyne a bizarre and memorable gameplay experience for any player. Will you be able to reach the end of the path? Atmosphere that plays with your senses. Watch the console version announcement trailer below.